Milwaukee isn't just a sports and festival town. Sure, when summer is in full swing, the thing to do is head on down to the lakefront and take in the sites at one of the many ethnic festivals. The Brewers wrapped up their season nearly one month ago, the Bucks have yet to play their first regular season game, and the Summerfest grounds are closed for the season. So what is a Milwaukee city dweller to do this week? 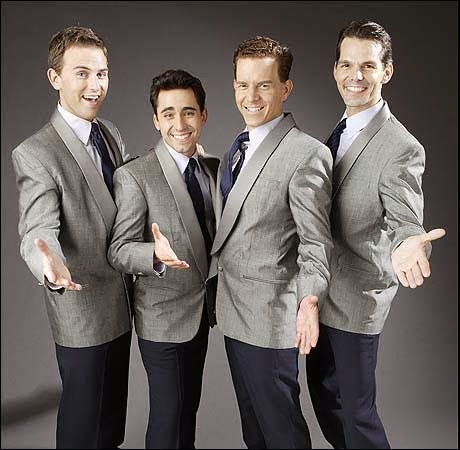 Check out the Broadway In Milwaukee musical Jersey Boys at Uhlein Hall this week. There are performances running through the weekend, with a 1pm matinee on Sunday afternoon. This musical focuses on the 1960's band The Four Seasons. Opening in 2005, the Broadway production was quick to win a Tony and a Grammy. The Indigo Girls have teamed up with the Milwaukee Symphony Orchestra and created a musical experience that cannot be missed. This is a one night only event, so grab those Indigo Girls tickets now. Coming to the Milwaukee Theater on Friday it's Rain - A Tribute To The Beatles. After sold out shows across the country, Rain makes a brief stop here in town. The show starts with a video montage of the early days of the Beatles, and ends with live performances by musicians dressed to look just like the real thing. 88-Nine Radio Milwaukee hosts a great Halloween party at Turner Hall. Enjoy everything from DJ's to actual live music by the Fatty Acids. Of course, there will be a costume contest. The final act of the evening will be a Michael Jackson versus Prince dance party. We're not sure what that's all about, but it sounds quite interesting.